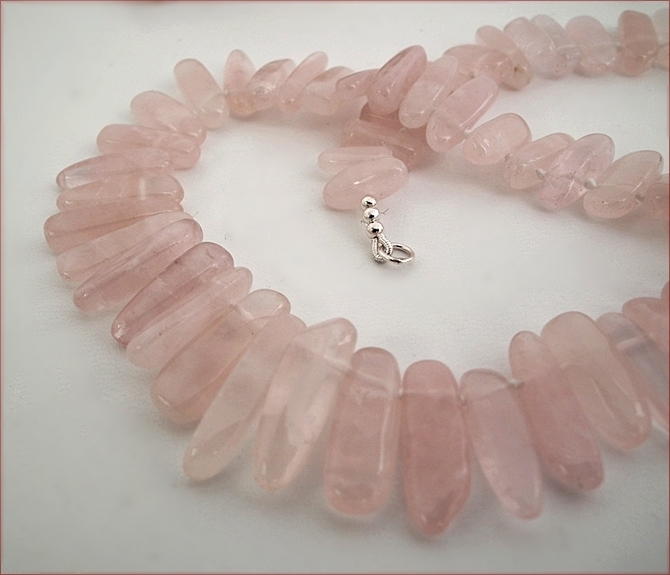 Rounded wands of delicate rose quartz are knotted together in this pretty little necklace. It reminds me of a ballet tutu (it's been many, many years since I wore one myself! ), the way the sticks dance around. The wands are loosely graduated, with the longest measuring 2cm. 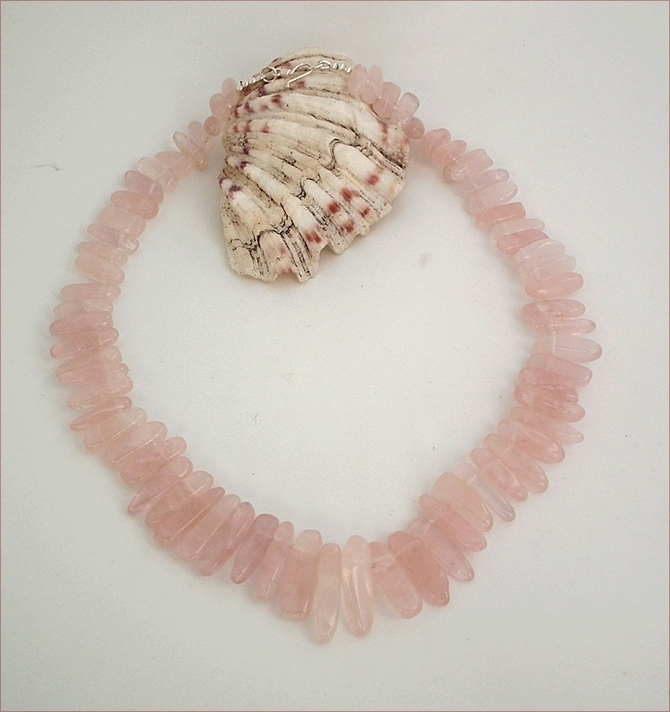 The necklace itself is 16.5" (425mm) long, fastening with a sterling silver hook and eye clasp. 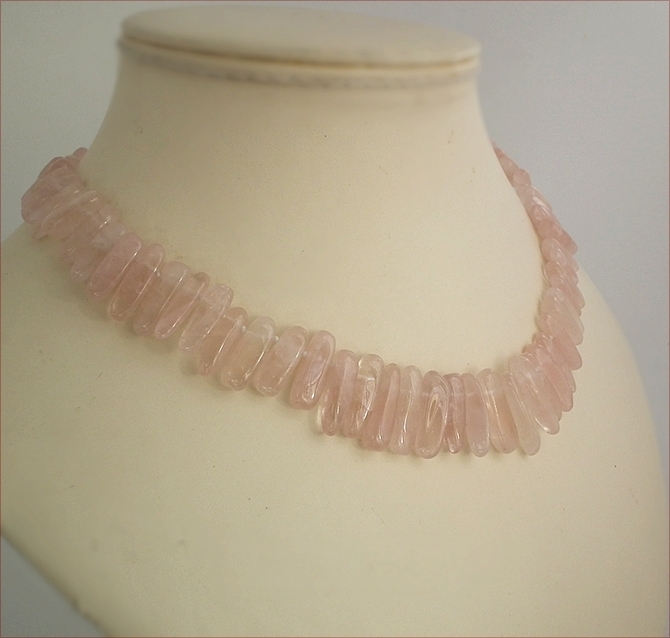 So pretty - it looks lovely worn under an open-necked shirt. NB: if you - or your intended recipient is in any way a touch OCD, this is not for you (or them). The sticks are of varying sizes and thicknesses so some may pop up as the necklace is being worn. 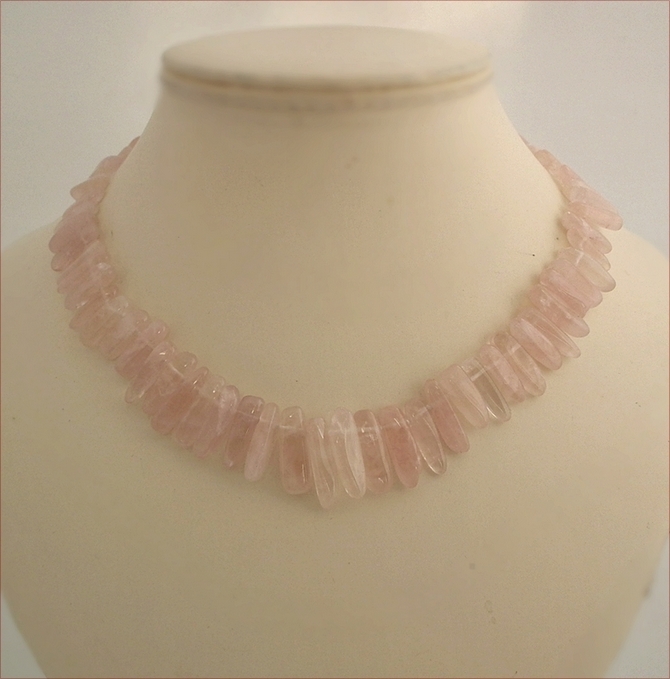 That will drive them mad but the additional frillyness this gives is part of the charm of this necklace!